Abstract: Smart City is the new form of city supported by the new generation of ICT with innovation 2.0 in the knowledge society. Based on pervasive perception, ubiquitous network and intelligent convergence application, smart city foster an ecosystem enabling innovation emergence, and will be of people-centered sustainable innovation, which is featured by user innovation, mass innovation, open innovation and collaborative innovation. Smart city can shape the public value of the city, create unique value for every citizen in the city, and fuel urban and regional sustainable development. 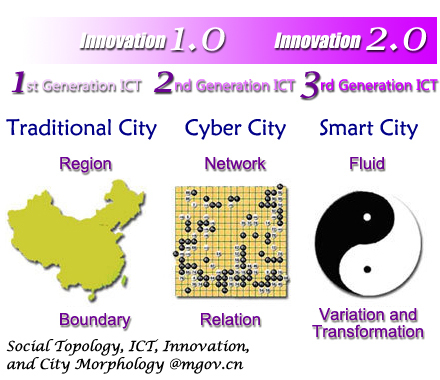 The evolution of the city from traditional city, cyber city to smart city in the era of innovation 2.0 is analyzed in perspective of paradigm shift of innovation pattern. The key features of smart city are proposed. Practices of smart city around the world are introduced. 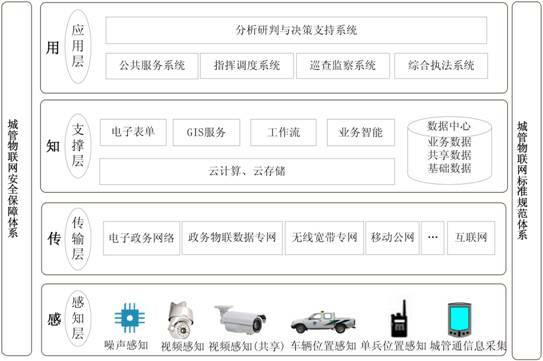 The case of smart city administration as the smart city infinitive in Beijing is analyzed. Mol A, Law J. Regions, Networks and Fluids: Anaemia and Social Topology[J]. Social Studies of Science, 1994, (24): 641-671.